It's football season and the Giants are in the playoffs!!! During the weekends there is always a party at someone's house to watch the games! This means lots of chips and dips which is not very good for my waistline. Today I made white bean hummus for the 3rd Giants game in the series against the Braves. We went to the game on Friday night which was quite depressing, so today we are hoping for a big win. Go Giants!!! I decided to make hummus two ways: Classic and Chipotle. 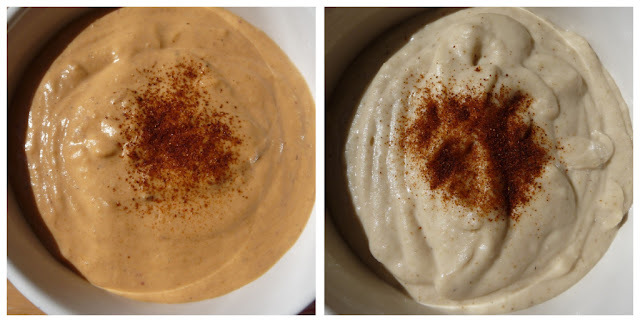 I have always loved white bean hummus and it is so easy to make at home! There are a handful of ingredients that you just toss in your food processor and away you go! Serve with crudites and bread/crackers. Also, I love to use hummus later in the week on my sandwiches, it's so yummy! 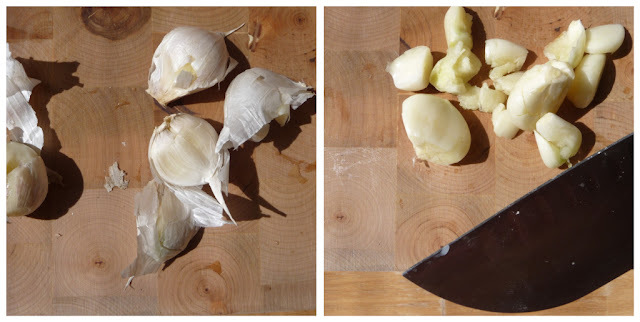 Click on Read more for recipe>> below the photographs to see how I make white bean hummus! Place all ingredients in a food processor, except for the olive oil. Slowly add olive oil until smooth and creamy. Hummus is one of my all time favorite treats, but I have never actually made it! We used to eat it a lot when I lived in the Middle East and now I really enjoy the Sabra roasted red pepper one from the grocery store, but yours looks like the real thing and oh so yummy! P.S. Enjoy all of football season! I've always been afraid to try hummus, I guess in part because I didn't know what all was in it. After reading your post and seeing how simple all the ingredients are, I think I'm going to give it a try! !